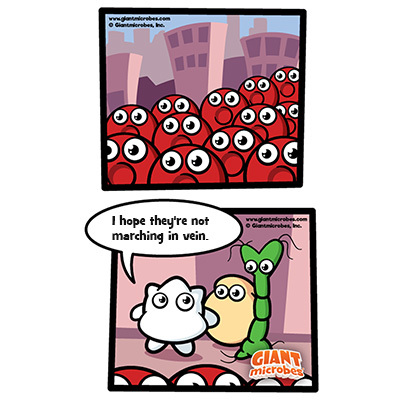 Red Blood Cells: "I hope they're not marching in vein." 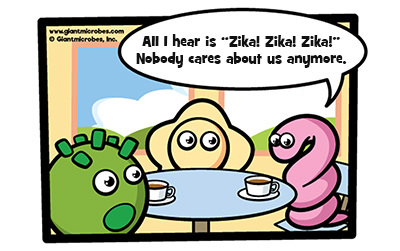 STD Coffee Break: "All I hear is "Zika! Zika! Zika!" Nobody cares about us anymore." Oddity: "To the right, we see a multi-bedroom house, where you and your families can set up your very own microbiome!" Kissing 'Mono e Mono': "You're not allowed to spread Mono until you're 18!" ... "But Mom, all of my friends are spreading Mono!" 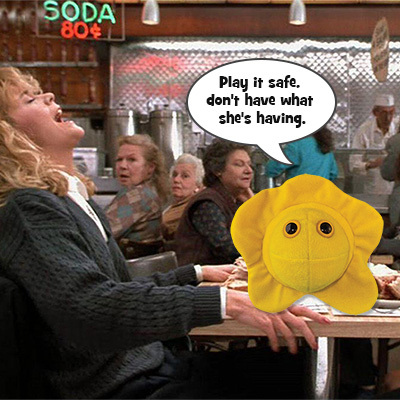 When Herpes Met Sally: "Play it safe, don't have what she's having." 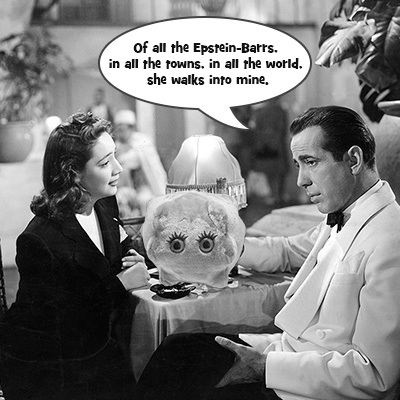 Kissablanca: "Of all the Epstein-Barrs, in all the towns, in all the world, she walks into mine." Congratulations to all the winners who will be receiving a selection of GIANTmicrobes products. We will be contacting you separately via email.